Rainbow Festival was Marred by Drugs and Violence – Really?!? Research shows that the media report more stories about illicit drugs than alcohol, and that the stories about drugs are more negative than those about alcohol. This is demonstrated in an article in the Herald Sun by Wes Hosking entitled “Police question drug and violence marred Rainbow Serpent Festival’s future”. In this and other media coverage of the festival, Inspector Bruce Thomas cites what appear to be alarming statistics. Specifically, he says that there were allegedly three sexual assaults and four physical assaults. But these statistics need to be put into context. There were over 20,000 attendees at the festival. 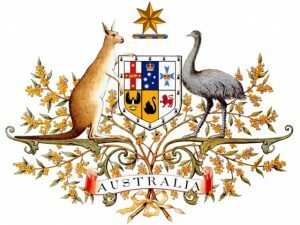 Imagine a gathering of 20,000 people and the amount of alcohol-related incidents that might occur on Australia Day. And this is just one day. The Rainbow Serpent Festival runs for almost 6 days, including Australia Day! As board members of Psychedelic Research in Science and Medicine, we volunteered at the recent Rainbow Serpent Festival with DanceWize to deliver harm reduction strategies to festival goers, including providing a safe space for people who were feeling distressed to process their drug-induced experience. Having personally spoken to the police on-site, they stated to us that they thought the crowd was well behaved and noted that they might not be so well behaved if alcohol was attendees’ primary drug of choice. Rather, most people we saw were consuming Cannabis, LSD and MDMA. So what does the evidence say about whether alcohol or other drugs is more likely to lead to violence? Most violence linked to alcohol and other drugs in Australia is due to alcohol, with 26% of Australiansreporting they have been affected by alcohol-related violence compared with 3.1% who reported being affected by violence related to illicit drugs. MDMA (“ecstasy”) works in a different way. It leads to a release of serotonin in the brain so people tend to become empathetic towards others and emotionally open. So, MDMA is rarely associated with violence. That’s the case unless people take it with other drugs such as alcohol or stimulants, or they take what they think is ecstasy but really is a new or otherwise harmful drug. Ecstasy might contain drugs other than MDMA – many of which can cause significant harm. As previously reported on AOD Media Watch, this was recently seen both on the Gold Coast and in Melbourne, when people unintentionally consumed Ecstasy that contained drugs other than MDMA, and led to a number of medical emergencies and some deaths. This has led to many researchers to call for pill testing to be implemented in Australia. LSD (“acid”) is a psychedelic drug that binds to certain serotonin receptors in the brain. In doing so, LSD can lead to significant changes in consciousness and perception that are therapeutic in clinical settings. 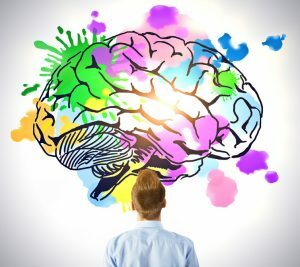 But people can become overwhelmed by the changes in perception caused by LSD at festivals, leading some people to become distressed and occasionally unaware of their actions. There are no studies showing a clear link between the use of LSD and violence. While most people consider its risks to both personal health and community safety manageable,research suggests its widespread use makes it the most harmful drug due to the impact it has on others in terms of violence. But most illicit drugs are recent arrivals in western society and have been subject to widespread prohibition rather than regulation. So, it is hardly surprising that fewer people use them. The most recent data show that about 7.2% of Australians aged over 14 consumed “ecstasy” in the past 12 months, 2.1% had used methamphetamine and 1.3% had used a psychedelic drug, such as LSD, in the past 12 months. People who use illicit drugs are also a minority and it is important the media does not further marginalise this group by using stigmatising language. 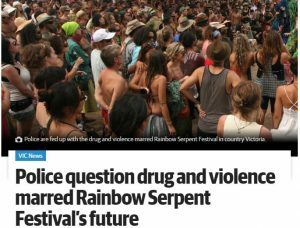 Clearly Rainbow Serpent Festival was not marred by violence, though by associating violence with drugs, stigma towards people who use drugs is perpetuated. Without such changes in media reporting there will continue to be limited opportunities to discuss implementing evidence-based drug policy. Rather, Australia will continue to fall behind other western nations in implementing harm reduction measures such as pill testing. This article was adapted from a piece published on The Conversation. Read the original article.